I typically get a couple dozen technical books for each non technical. 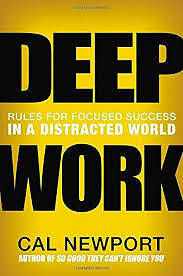 I purchased via Amazon “Deep Work” by Cal Newport. I saw it mention while reading an article in Medium. It took me less than a week to read the book. The subject is very well known to me. Will explain why it is the case in the following paragraphs. I was born in Lima, Peru. My parents left Europe in the 1930s in search of a better life. I had three siblings. One of the twins graduated from college as an international attorney and passed away months after. My other two sisters are physicians. One continued her studies in the USA and Europe. Today she is a professor at an Ivy League school spending time in a lab in China at a well know university. I came to this country over 40 years ago with a scholarship to attend an Ivy League school in New York. I can still picture in my mind a handmade sign that I placed on a wall above my study table in my bedroom. The text was “USA”. I recall spending through a couple years many hours concentrating on English, math and science. I would close the door and spend between 2 to 4 hours per day studying. Whatever I did, worked. Have to say that at the time there was no Internet, video games or cell phones. 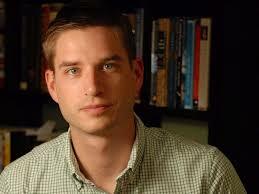 My first job was in Texas working for a fortune 200 company. After a year or so I was offered a job in Minnesota. The company transferred my wife and two young sons. My first manager gave me a tip to help me organize my work tasks. The idea was to create a daily To Do List. At the end of the day before leaving, spend a few minutes thinking about the tasks that needed my attention the next day. Write them in order. Assign a number of hours per task. 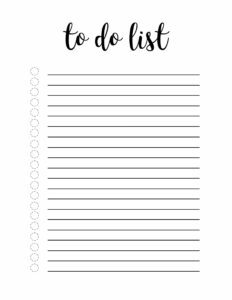 If a task would not be completed; then add it to the To Do List for the next day. That worked very well for me. I never understood why so few people follow such an effective approach to organize tasks at work. Today, I keep two lists. One I generate for work and a second to study. I still write new tasks but cross out completed ones. I believe I do this not for a record but because I got lazy. When I work, I mute the phone and all mechanisms of communication on my computer. I use EyeDefender to let me know every two hours that I need a break. At that time I check my messages and reply as needed. When done, I get up, walk for a few minutes and refresh the contents of my bottle of water. When I get back to my desk the process repeats. With time I have changed the time between 90 and 120 minutes. I have also changed what I drink, from coffee, to tea to water. My wife and I have two sons. They have families of their own. When there is an opportunity I bring up the fact that they should not spend too much time on the phone. My granddaughters seem to never be more than a couple feet from their cell phones. I have watched on many occasions doing homework. It seems like they are constantly exchanging messages on several social networks. I have told them many times that they should not be able to concentrate on their work because they are constantly exposed to distractions. They do not seem to understand the issue and the disservice they are doing to themselves. I have read several articles and software engineering books that cover the issue of being disrupted at work with phone, people and email. It takes several minutes to regain concentration and become somewhat productive before the next interruption comes along. Up to when I got and start reading the book, I believed I was alone with my preoccupation of not being distracted when working or studying. It seems that many scientists and authors have written many papers and book on the topic. I have read a couple papers but, given that the subject is not related to computer science, I have not paid attention to them. That changed with Deep Work. I am not going to summarize the book. What I will do is to recommend it to any one that has to do a job that requires concentration in order to produce more and better work. The book explains shy such people should work deep instead of work shallow. Shallow work does not lead to great achievements. The book cites work of many brilliant people on the subject of concentration. It also gives examples of people that has lived concentrating and have accomplished many great things because of their way of working. It explains what not to do and changes that you could use to increase your work habits. I have already recommended the book to several people. Once you read it you will have the steps to follow to get to the state of deep work. Of course, there is no silver bullet to achieve success. The mechanisms will serve as a guide. You will have to adapt them in order to fit your schedule and personality. Also, as time goes by, there will be situations that you will have to take into account and modify your process. To start is simple. Order the book and read it. When done start following the suggestions and in no time you will be able to get things done faster and of higher quality. Las week I started a NoSQL course. The homework was due last Tuesday at noon. I had family visiting Friday to Tuesday. It was great and busy but I did not have a chance to read several lessons or to do the assignment. After my son and family left on Tuesday morning around 07:30 AM, I turned on my computer and in about 2 ½ hours all was done. Hope you get a copy of the book and put into practice the techniques there presented.